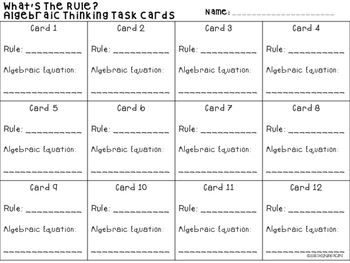 Each task card in this set presents a function table (in/out box). 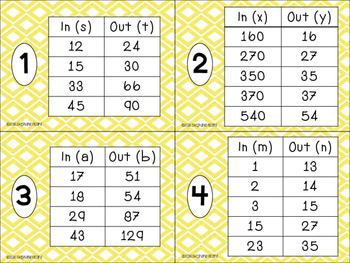 Students must use the function table to determine the rule for the pattern. 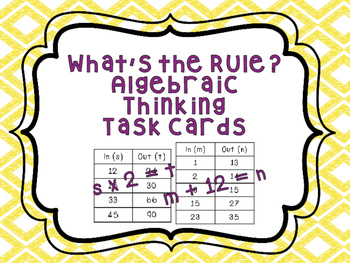 Students then use the rule to create an algebraic equation explaining the rule.